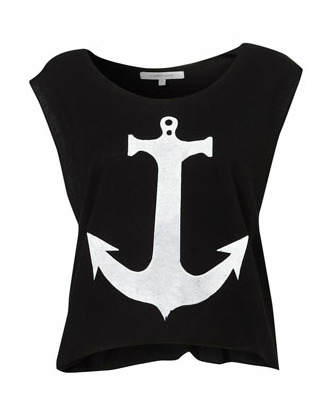 Anchors are always a popular theme in spring and summer fashions. They always evoke memories and wishes for the beach. 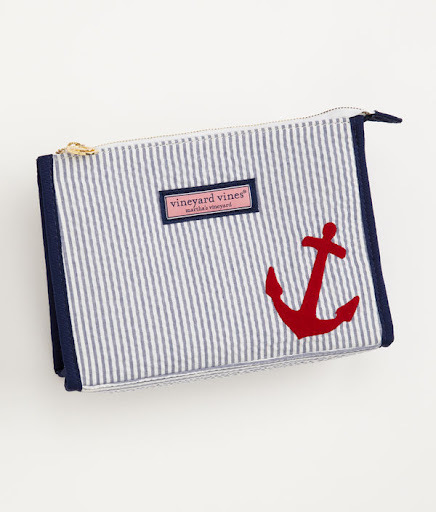 Here are some of my favorite anchor themed items! I saw this in the J. Crew store the other day & fell in love! All sequins, this would be show stopping to wear to a summer bonfire. 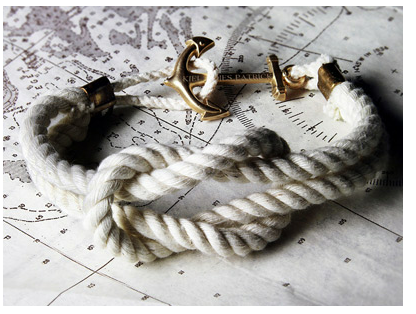 A classic rope bracelet with an anchor twist! I love the clasp on this, almost as much as I love the square knot bracelet. This is a great summer shirt. Very classic and simple anchor, but it still makes a big statement! Pair this with some colorful denim and some wedges for summer. As much as I love navy, sometimes you need to add a pop of color to your look! I love the alternate stripe of this tote. It would be a perfect beach bag or just an everyday bag. 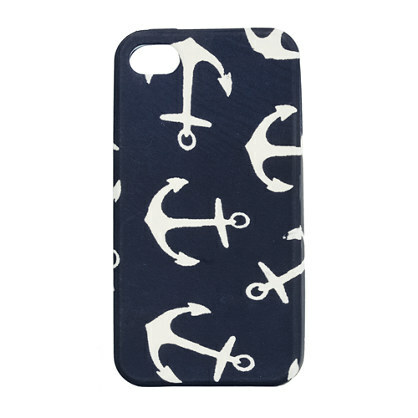 To always carry an anchor, try a phone case! I love the playfulness of this one from J. Crew. It’s neutral and will go with any outfit! I love hand painted toms! I have a pair for MSU and I get compliments on them all the time! 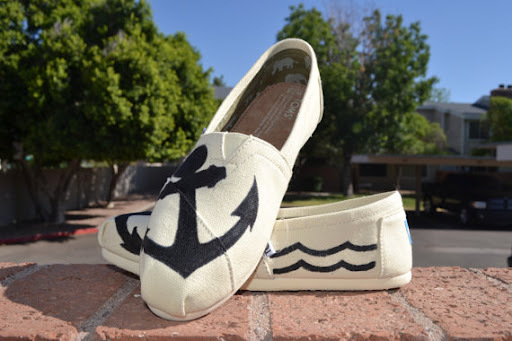 A pair of toms and some acrylic paint and you can create almost anything. I love the wave detailing on the side of these, it fits perfectly into the anchor & nautical theme. 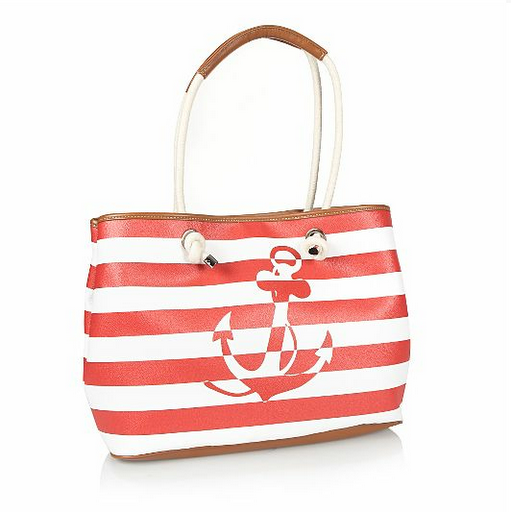 This seersucker stripe paired with a bright red anchor is a great match! This is probably a bit big to carry in your purse everyday, but it would be great for storing makeup or nail polish! What is better than personalized wall art? 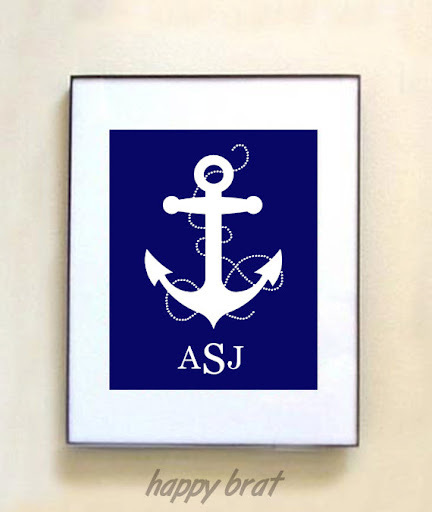 Anchors and a monogram? I’m in love! I would love to be able to put this on my wall. It would be perfect in a Cape Cod cottage!